Don Everhart ll was born in York, Pennsylvania. He earned a Bachelor of Fine Arts in painting from Kutztown State University in 1972. The following year, Everhart joined the Franklin Mint as a designer where he held the staff sculptor position for five years. In March 1980, Everhart left the Franklin Mint to pursue a freelance career. During this period, his work included figurines, plates, coins, and medals for Walt Disney, Tiffany, the Royal Norwegian Mint, and the British Royal Mint. Everhart has received numerous commissions. Most notable of these is Georgetown University’s Sports Hall of Fame, a 24-piece bronze installation. 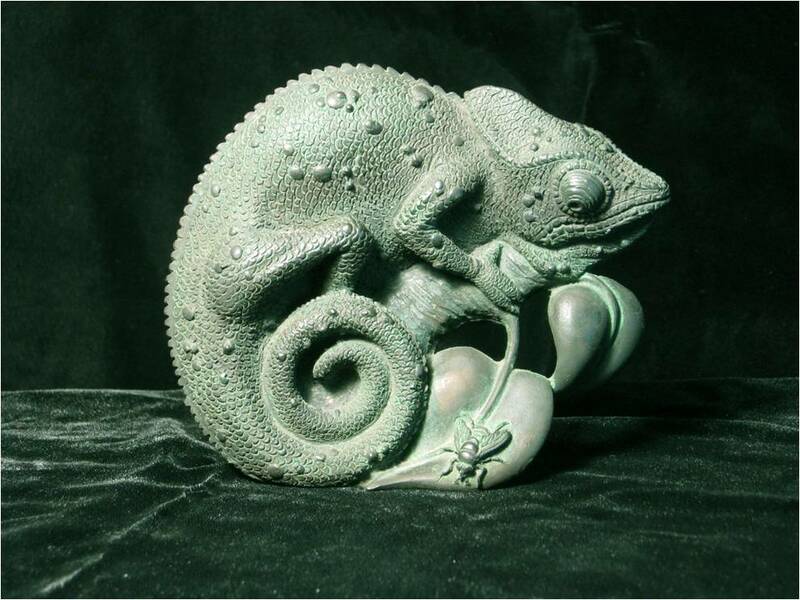 He also received the prestigious American Numismatic Association’s Sculptor of the Year Award in 1994. In 1997, his submission was chosen as the official inaugural medal for President Clinton’s second term. Everhart is a former president of the American Medallic Sculpture Association (1993-1994) and is a fellow member of the National Sculpture Society. Since joining the Mint in 2004, Everhart has created designs for numerous coins and medals, notably the 2014 National Baseball Hall of Fame Commemorative Coins (selected 2016 Coin of the Year), designing the reverse and sculpting both sides of the first curved coins produced by the U.S. Mint. He designed and sculpted the common reverse for the Presidential $1 Coin and 14 obverse portraits in the series. His designs appear on three of the 50 State Quarters coins honoring Nevada, New Mexico, and Hawaii and he sculpted three others, celebrating Idaho, Montana, and California. He also sculpted the design of the 2009 quarter that honored the District of Columbia. Four of the designs in the America the Beautiful Quarters® Program are his, including Hot Springs National Park in Arkansas; Yellowstone National Park in Wyoming; Perry’s Victory and International Peace Memorial in Ohio, and Great Sand Dunes National Park in Colorado. Other circulating coin designs by Everhart include the 2005 Westward Journey Nickel obverse bearing the profile of Thomas Jefferson and the “Professional Life in Illinois” reverse of the four-coin 2009 Lincoln Bicentennial One-Cent Coin series. Everhart has also designed many Congressional Gold Medals, including the 2005 Dr. Martin Luther King, Jr., and Coretta Scott King medal obverse; the 2005 Dalai Lama medal obverse, both sides of the 2006 Dr. Michael E. DeBakey medal; both sides of the 2008 Constantino Brumidi medal, and both sides of the 2007 Daw Aung San Suu Kyi medal. He designed and sculpted the 2014 Shimon Peres medal obverse; the 2015 Jack Nicklaus obverse; the 2014 American Fighter Aces reverse, and 11 of the 2007 and 2008 Code Talkers series of Congressional Gold Medals honoring Native Americans for their military service. In 2016 he designed and sculpted both sides of the Barack Obama Second Term Presidential Medal and the reverse of the First Term medal. Don retired from The United States Mint in July of 2017, after over 13 years of service. In February of 2018, Don was awarded the prestigious "Lifetime Achievement Award" from World Coin News in Berlin, Germany. Although retired from The United States Mint, Don still works on commissions from his home studio in West Chester, Pennsylvania.